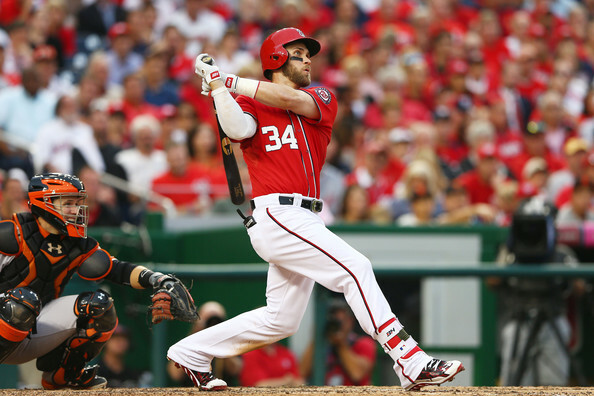 Bryce Harper possibly hit the premiere home run of the postseason this afternoon. And the Nationals lost a heartbreaker, giving those rotten Giants from the left coast their ninth straight playoff victory. But damn it, Bryce Harper put on his eye black and brought his game to the park today. And the Nats seemed so lifeless for much of the day. 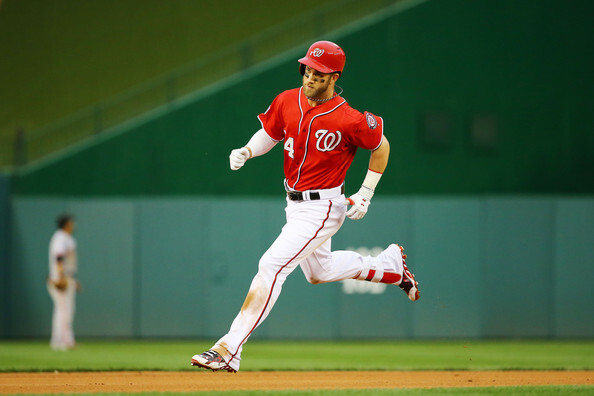 I had the thought that if they could just get a Bryce Harper home run; it would be the one thing that could ignite the crowd and the rest of the Nationals enough to get them back into the game while trailing 3-0. It needed to be something big, and something epic. Harper turned on a 97 MPH fastball, and nearly hit it out of the stadium. The Nationals would add an Asdrubal Cabrera home run to cut the deficit to it’s final resting spot of 3 to 2, but the titanic home run wasn’t enough to dig them out of the hole that their slumber caused. Still, anyone who tuned in today expecting to see Harper and Stephen Strasburg play the roles of the two leading Knights in the baseball Camelot that is the Nation’s capital got half of it (Harper also broke up Jake Peavy’s no-hitter the second time through the lineup). Next Story → So yeah, that sucked.